This will likely be the hardest thing you’ll ever do. Survive this. And eventually, maybe even thrive again. At times it will feel virtually impossible. You’ll wonder how a human being can survive such pain. You’ll learn you know how to defy the impossible. You did it from the moment your child’s heart stopped, and yours kept beating. You do it with every breath and step you take. You’re doing it now. And now. And now. Your fingernails will become bloodied from clawing your way from the depths of despair. Your spirit will grow weary from fighting to survive. Your eyes will cry more tears than you ever thought possible. Your arms will ache an ache for which there aren’t words. For a lifetime. Your heart will break into a million tiny pieces. You’ll wonder how it will ever mend again. But with every morsel of unspeakable pain, there is love. An abundance of love. A love so strong, so powerful, it will buoy you. You will not drown. Others will say things that are intended to be helpful, but aren’t. Take what is, leave what isn’t. Still, you’ll meet others along the journey who will get it without ever saying a word. Kind souls who will breathe you back to life again. Let them. Years down the road you’ll tire of hearing the same advice and clichés, over and over again. Advice you don’t want or need. Everyone will try to tell you how to best “fix” your broken heart. The trouble is, you don’t need fixing. There is no fix for this. Eventually you’ll learn how to carry the weight of this pain. At times it will crush you. At other times you’ll learn how to shoulder the burden with newfound grit and grace. Either way, you’ll learn how to bend with the weight of it. It will not break you. Not entirely. And even if you don’t believe in hope– not even a little– hope will light the way for you. At times you won’t realize your path is lit. The darkness feels all consuming when you’re in it. But know the light is there. Surrounding you now. And now. And now. Know you’re being guided, by all of us who have survived this impossible hell. You may not hear us, or see us, but we are with you. Beside you. Hand in hand, heart to heart. Always. Just like your child still is. Above all else, know that no one can save you but yourself. You are the heroine/hero of this sad story. You are the one who gets to decide how, and if, you’ll survive this. You are the one who will figure out a way to survive the sleepless nights, and the endless days. You are the one who will decide if and when you’ll find a purpose again that means something to you. You are the one who will choose how you’ll live with the pain. You are the one who will decide what you’ll to cling to, what will make your life worth living again. You, and only you, get to decide how you’ll survive. People will speak of “closure,” of “moving on,” of “getting over it,” of grief coming to an end. Smile kindly, and know, anyone who says these things hasn’t lived this thing called grief. To lose a child is to lose the very heart and soul of you. It is overwhelmingly disorienting. It takes a long, long time to find yourself again. It takes a long time to grow new life around the chasm of such grave loss. It takes a long time to grow beauty from ashes. There will always be a hole in your heart, the size and shape of your child. Your child is absolutely irreplaceable. Nothing will fill the void your child left. But your heart will grow bigger– beautifully bigger– around the empty space your child left behind. The love and pain you carry for your precious child will be woven into every thread of your being. It will fuel you to do things you never dreamed you could do. Eventually, you’ll figure out how to live for both of you. It will be beautiful, and it will be hard. But, the love you two share will carry you through. You will spread this love everywhere you go. Eventually, you’ll be able to see again. Eventually, you’ll find your way again. Eventually, you’ll realize– you survived. 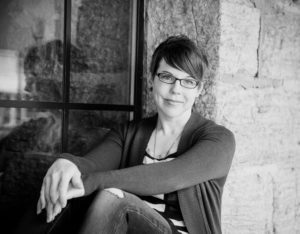 Angela Miller is a writer, speaker and grief advocate who provides support and solace to those who are grieving the loss of a child. 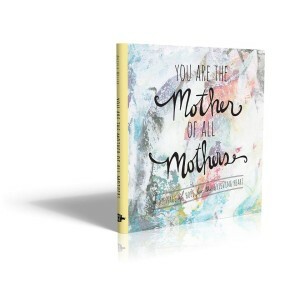 She is the author of You Are the Mother of All Mothers: A Message of Hope for the Grieving Heart, founder of the award-winning community A Bed For My Heart, writer for The Huffington Post, the Open to Hope Foundation and Still Standing Magazine. Angela writes candidly about child loss and grief without sugar coating the reality of life after loss. 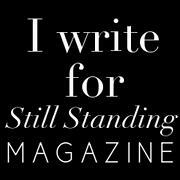 Her writing and her book have been featured in Forbes, Psychology Today, MPR, BlogTalk Radio, The Gottman Institute, Open to Hope Radio and Writerly, among others. When she’s not writing, traveling, or healing hearts, you can find Angela making every moment count with her two beautiful, blue-eyed boys. Join Angela’s compassionate village at A Bed For My Heart. Over 20,000 #grieving #moms around the world have been comforted by this book. What an amazing post! 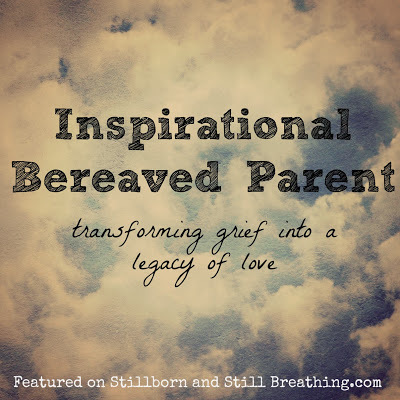 You beautifully captured what bereaved parents feel, while still offering hope. Hope was nonexistent in those first days, weeks, and months after losing our son. Hope is again part of our lives now. This letter has meant so much to me at a moment when I needed it the most. A month ago my third daughter was born still and since then I feel like I am just existing. I breathe but it hurts, i eat because I know I have to and I try to sleep when my head allows me to. These have been the darkest days of my life and everyday I don’t know if I will survive. The days are so long and trying to face the next one seems almost impossible. The biggest thing are the thoughts. At times I feel like I want to jump out of my body and away from it all. In the end missing her and missing all the things she will miss causes the most pain. This letter really hit home for me so thank you for writing and sharing this. All I can say is I’m so sorry! My heart is literally hurting for you! I pray that light & hope & joy & peace will come back to you soon. I love the word hope and I pray that I will survive this and find another path in life without Cameron and I hope I can live for us both. I too loss my son Jorion to suicide. The unanswered questions as to why , still bothers me . He lived at home , he had a job a car, a brother a mother and a father in the household. Detectives came to my house to tell us the news. As he had jumped. I too had to go to the morgue to identify my son . The hardest thing ever. It was like I was frozen moving like a snail, seeing the white bag is was in. Slowly able to get up close to see him then touch him then wipe his face with a wash cloth as a small amount of blood was in the corner of his mouth. He had a smile on his face as to say, Ma, I’m ok..truly a hole in my heart forever. Hi Ramona, I also lost my only daughter, 25, to suicide this August. She suffered with depression and anxiety. She was out of one of her medications and decided to take xanax for a month and when that ran out, was hopeless and drove my car into an on coming semi truck. She was a beautiful talented musician. A very low moment that her family and lover ones didn’t know she needed help with. We have gone back hundreds of times trying to replay what we could have done differently. It’s so hard to wrap our heads around. Not to mention what the truck driver is going through. I pray healing for you. We love the Lord and we’re trying to have hope for our future. I am so lost without her. Just love her the best you can, from another grandmother, who lost her sweet grandson to suicide 2/11/2016. Self care is so important. I’m so sorry for your loss. That was lovely. Really moving. I have never lost a child, thank the Lord, but I have lost my parents. Not the same but you are so right about grief. Thank you for this, I have 3 young grandchildren my daughter left behind, so I have to be strong for them. Ages 12 ,10, 7. My daughter suddenly died at home, no explanation as of yet. Even her children dont fill the void . I must carry on. Thank you for this beautiful depiction of words which are so hard to speak of because loss of a child is an endless journey, at least, here on earth . As a facilitator of a grief group, I will forward these words of inspiration to those who are searching for peace and solace in their new lives. This is majestically written. I recently lost my son, I have been everything that you wrote about. It’s a pain so deep that even my bones hurt with grief..and thru all this grief I have to make sure that I let my other 3 children know that I love them just as much and just as deeply as I love and miss their brother. His wife, 4 young children, his big brother and 2 younger sisters and I all strive to keep his memory alive every day and to talk about him as if he is still here in body, we know he is an angel that is around us all the time. Thank you from the bottom of my heart for being such an awesome and profound writer. This article gives me hope that I to will be able to climb out of this bottomless pit I feel stuck in…one day. Thank you for expressing what I could not. Words don’t come as easily any longer. Most days I feel like I am just going through the motions. My husband died when I was 29 and he was 30, so I thought I knew what grief felt like. But when my daughter died 9 months ago from breast cancer, I learned that not only did I not “know what grief felt like”, I learned that the grief of losing my child is the most profound and painful thing I have ever endured. Thank you for putting to words the hope, and realistically stating depth and breadth of the navigation of life without my child. Such truth. I think the hole in my heart was the hardest. Ten years later there are still days when the pain is overwhelming. You smile think of your child and go on. So grateful for my Faith. God Bless all traveling this road you are not Alone. I wish I had found this when I lost my son. It says everything a grieving parent goes through during those firsts. Even though Keith has been gone almost 17 years my heart still hurts like the day he left. The sun does shine. It hasn’t gotten any easier, just easier to bear. I read this and then re-read it out loud to my husband. We needed this “letter” then and now. Our first daughter was delivered stillborn at 33 weeks. We had so many pamphlets on “grief” and well meaning friends and family who tried to keep us from going over the edge. Your words and message resonated with us deeply. Thank you for articulating all that I haven’t been able to say. You nailed it. Thanks for sharing my daughters birthday is February 13 and my heart Is breaking that she’s not here. Your poem really says it all it touched my heart and your right we are not alone !!!!!! I read your article and felt like you were speaking directly to me. You have given me hope where no one else has been able to since my son committed in Jauary 2014. I have had trouble even acknowledging/accepting his death let alone been able to begin to heal. Your article though acknowledges my feelings and expectations of what is to come. Thank you so much for sharing. This was great….spoken from the heart….thank you…. February 1,1980 was the day my precious daughter was born. She would be 36 today. A friend of mine liked this post and it could not have been more timely. I always call this my quiet day. I take time to remember Maureen,sometimes write her a letter and set aside some time for my grief. The death of a child never leaves you, it changes who you are and you somehow learn to live with it. I think sometimes what hurts me is when people won’t use her name as if that would hurt me or make me remember. What they don’t realize is that I will never forget and I could not possibly hurt more than I do. I want to shout “use her name!” I love to hear it and know that you remember too. Really expresses how I felt after I lost my precious son. After year 5, I started to feel I was climbing out of the abyss. Then my daughter was killed in a horrible car accident. Now I’m back at the bottom. Oh Cod, Shelley. I’m so sorry. I live my life every day in emotional pain. A life in pause since the day I lost Beau. There is no hope to see him here on earth but I know I will see him again on the other side. In my dreams I see him as a little boy. I wonder if it is because that is how I always saw him in my heart. He was a beautiful and loving son, brother and friend. Every day is pain but the hope overwhelms me because he is in my father’s arms. God only knows what is best and I have come to accept that but it’s was a long hard road. I lean on Jesus for he is my saviour. Otherwise there is no hope. Thank you for those words. It’s as if they came out of my mouth and heart. I share my pain with all the other mothers who have lost a child. The words of hope are helpful and I hope we can all find peace until we meet again with our loved one. Thank you. I am seventeen months into this nightmare known as parental grief. This article resonated with me, in the beginning I wanted to be me again. Now I know I can never be the person I was and I have come to realize I don’t want to be. To me the old me, would mean I would take things for granted and would be living in the past. I want Madeline to always be in my heart with all the highs and lows. God Bless all bereaved parents. Is there really this thing you call HOPE?? I am praying you are right. Not only did I lose my 16 yr old Precious Baby Girl but I have lost my two older children as they can not handle my grief as the pain is eating me up. I look forward to this HOPE even if it is only for a moment. I agree whole heartedly to your reply, I lost my middle daughter in 1993 at the age of 8 years. It has been a long time but forever fresh in my mind. It has affected my other grown daughters, one 33 years old and the other 26. My relationship has been scarred with them, I love them dearly and will forever, I was not their for them for many years, I mean I was here but not in the composite a mother should be. I will forever have to live with this, I went to my 33 year old daughters for her 33rd Birthday and had such a revelation. As we sat at the kitchen table and I gave my daughter her Birthday card, My granddaughter Robyn asked me if I brought a gift for her mommy. I had put on the card a gift to follow in February, then Robyn proceeded to ask me if her mommy was adopted? I wanted to get up from the table and run away and cry my eyes out. It made me realise that this had to have been mentioned from her mother at some point. I went home and experienced extreme grief all over again, to realise just how much hurt my daughter Becky must be feeling. I cried for a week none stop, I think she really believes I love my other daughter so much more. I wish there was a book that teaches you how to deal with your surviving children. I love my children equally and will forever. I am so thankful for my girls, I just wish I had the right words to describe the pain I deal with on a constant basis. Wendy Boutiler! Thanks for the outlet! Thank you for your beautiful words. Sltill after 25 years I feel like I lost my son yesterday. Your words are very encouraging.. Thank you for this…. My son passed from Leukemia when he was 13. That was going on 18 years ago. Not a day goes by that I don’t think of him. I know he is with me still and my daughter has a Guardian Angel in her brother in Heaven. Very well stated. It’s also ten years since we buried our 19 year old son and truly only a parent with this experience is the only one that can begin to understand this journey we are on. Life goes on and we try to go along with it. We count our blessings sometimes taking extra time to dig deep to find them. God is good – the blessings ARE there. February is our son’s 30 birthday so this article crossing my path is not only timely but yet another blessing. Thank YOU! Thank you for such comforting words. I am going into my 4th month of not having my son. He lost his life in a car accident. My heart aches everyday, some days I can laugh and smile when I think of a memory, which is like him holding me tight and telling me “mom I want you to laugh”. I miss him so much, but I know I will see him again some day. I have wonderful family and friends and my husband to help me at these rough times. I had Scott for 46 years and I am blessed I had him those years he was my only child, but I have grandchildren. Thank you again and god bless all the other parents who have lost a child. Thank you so much for posting this .You described grief of losing a child so perfectly ,I lost my son Jay 34 yrs old to suicide mar.27th 2013,I still have hard days ,but am starting to live a little more ,than mere existing.This is a long journey and the price we pay ,for loving our children with all our hearts !! So true i loss my son 3 months ago, i fell lost,heartbroken,empty.. my heart and soul lost with him. Worst pain can’t ever explain. Life goes on but you can’t accept what happen.. The loss of my 37 year son this last May is the worst pain I’ve ever been through. I feel like there’s a hole that nothing can fix. I ask the Lord to help me get through each day. I ask to help me know I made the right decision when I told the doctors to stop CPR and let him go. I lost a son but his wife and children lost more. This is something I can turn to and read when I feel I need something to help me go on. I am watching this terrible loss from the sidelines. My dearest friends lost their son. I cannot fathom this heartache. I cannot console, relieve, or understand the depth of pain his wonderful loving parents are, and forever will, carry in their hearts. I feel inadequate at times, not knowing what to say. I thank you so much for this beautifully, no fluff truth. I now know I need say nothing. Just love, listen, hug, and cry with them. I pray for all who have experienced this unconsolable loss. Grab all the love thrust upon you, for it is love to pass on to the spirit(s) of your child. For they are with you always. Thank you for this thoughtful essay. With your permission, I will share it on my blog as well. I am 2 years in after the loss of our 24-year old son, Jake. We are now on this continuum of grief. I have spoken with newly bereaved parents, and have spoken with parents much farther along the road. Much of what you say, we have learned through hard-fought battles, sleepless nights, restless days. I know there is still so much to learn. Our son Jake just died on September 15th following a car accident. He was 24 also. It is so sad. I miss him so much. God bless your family. My son lost his only child of 19 years of age to suicide a year and 5 months ago. Today he shared your blog article “the 7 things I have learned…..” And I truly felt as though he was speaking to us (family and friends) with your words. You said all the things he has tried to explain to us in a way that I, for one, can truly understand. Thank you so much for sharing your experiences with the world. There is a word for losing your parents: orphan, and there is a word for losing a spouse: widow(er) but no one has come up with a word describing the loss of a child because it is such an unnatural occurrence. Again, thank you, for giving words to my son’s pain. My husband and I suddenly lost our 16 year old son Matthew this summer. We have been getting up everyday and trying our best to live the new normal with our 2 daughters. We were blessed to have 16 years wonderful years with him. He lived his life to the fullest always kind and with a smile on his face. The loss and constant pain we feel is indescribable. We struggle to come up with the words to explain what we are going through. Reading this today, my husband and I felt like you were speaking for us. Your words gave us some comfort in knowing someone actually understands how broken we are. So thank you for putting this out there and for the words to help us survive this awful loss! Thank you so much for writing this Angela, I loved every single word and I really identify with all the praying and hoping. I lost my baby girl only 2 hours after she was born over New Years and I have felt so lost without her, but I have just started to realize that my Luisette wouldn’t want her mommy to cry for her all the time, especially since she’s happy in heaven now. I have started to have hope again, I don’t know if it’s too soon and I kinda feel bad about it, I feel like I should still be crying my baby, although I have had so many sleepless nights just crying and holding on to her stuff, I feel like I need to let her rest in peace and celebrate her life. Anyway, thanks again for the comforting words and the hope you give us with them. This was such a help to me. My daughter died at the age of 28 after giving birth to a boy four days earlier. After 19 years of living through the anniversary, which is the hardest, I am through it for now. It may sound strange but I found a way to keep her near me. I have a stuffed bunny that was hers. I call her Wendy and hug her every day. It makes me feel so calm to feel like I’m hugging my daughter. My daughter just died Valentine’s Day from complications of 25 years with juvenile diabetes since she was 10 and I carry her purse, wear her scarves and jackets because it makes me feel close to her. It’s been almost 5 months since my 33 yr old son died and I cry today almost as much as I did in the weeks after. He had such a great sense of humor and I loved spending time with him. I miss the “hey mom” when he came over and walked in the house. I miss the “see you later and I love you” as he would leave. I know I struggle to keep hope in my life and I struggle to let God lead the way. I’m still trying to get through each day. It’s been 9 months now since my son of 37 years passed. I still have a feeling of emptiness. I go to his house where his wife and children still live and I expect to hear his voice or image coming up the stairs. My”daughter” is the strongest person I know. I don’t think I could go on living there. For her he must be everywhere. I know the 5 year old twins have spoken to him. Oh for the innocence of children. Maybe I need to spend more time with them. Doctor had told us that we my husband and I would only be Able to have Girls …. When my son was born I was so thankful to the lord For giving me a son….. He lived in texas i live in las vegas the person who called me was a co-worker and he said Felipe had an accident at work .. I said what happened is he ok ? he said is bad they took him to the hospital…i reply ok i will tell my daugther to call you so you can give her the information she lives in texas too…. This is my daugther that by the grace of God was born on 2 17 78 same day as my son 2 years apart I told her what had happened and said call me back when you find out what happened. Thank you for your inspiring, uplifting article. We lost our 28 y/o son to suicide 10 weeks ago. I told my husband, who says he’s over it, that I no longer want to live. I have no intention of harming myself but i am prepared to leave this earth & meet my maker. My DIL is expecting my first grandchild in April; but they live 8 hours away from us so I’ll miss out on a lot. Pardon my rambling but the article did lift my spirits. Ana Maria…I know the feeling of did I make the right decision when I stopped CPR on my 37year old son. He is the father of 5year old twin boy and girl. His family was the heart of his life. And I had to make the call to his wife and tell her I had made the decision they had spoken of in case something would happen like this. I struggle every day. I miss him every day. With every breath I breath I wish God would have taken me. We now belong to to the club no one wants to join but once there can never leave. Really moving post, thanks for sharing. I’m new to this grief. I lost my newborn son six days after he was born just this past November. Some might say that I never really got to “know” him or make memories with him, so my grief shouldn’t be as strong as say a mother who lost a child at an older age. I can’t say if that’s true or not, because I am only living MY grief and cannot compare to others. I will say this: what I feel HURTS. Not only do my arms ache to mother an infant, not only is it torturous for me to see an infant that would be he age, but I will forever live my life wondering who he would have been. I held him, I looked down upon his face and kissed his sweet head. Over and over and over. But that’s it. That is all I will ever get. No first words, no first steps, not even a smile for me. I will forever miss him, and I will miss all that should have been with him. This is the best article I have read in the 33 years my son has been gone. Even now when someone I know loses a child I can go back to day one. The pain stays with you forever but you learn to put it away and enjoy your life for the most part. Sometimes if I’m up late at night I just cry because the sadness comes from the soul but then it passes and you move on again. The first years are so hard and no one can describe them realistically. Thank you for sharing in a way that is truthful but still gives hope. Only a mother who has lost a child truly understands how it changes their life forever but there can still be a good life filled with beautiful memories and happy thoughts along with the terrible pain and longing that never really goes away, it just sits on the other side of happy. Sending understanding and strength to the mothers who are going through those first years of this terrible journey. Hopeing time will bring you peace. I woke up feeling sad this morning as today makes it 6 months since we lost our son. This article was meant to find me today. It was the first thing that came up on my facebook. I’m so glad I choose to read it. This was put beautifully. I have tried to explain to family and friends the pain & suffering we are feeling but i wasn’t able to put it into words as you were clearly able to do. Thank you for giving us HOPE again. I have lost all three of my children, all in older years. 25, 18 and 33. The hurt and pain never ever leaves you. People ask how you cope. You have to. It’s something you learn to live with but the hurt never ever goes away. I read your blog over and over as they offer me some comfort knowing that there are others like me who have lost a child. Your words describe perfectly what I feel. My youngest son, Anthony, 31 years old, passed away February 15th, 2016. My world turned upside down and inside out. The pain is so unbearable. I cry myself to sleep and wake up crying. I do not look forward to holidays, my birthdays, Mother’s Day or his birthday. I don’t know how I will survive the 1st year. I dont like that I don’t know what each day will bring…a smile maybe or more of the undescribable pain that comes from deep within. Angela You Pretty much nailed it and so it is, Thank you for putting into words what we all feel with our loss of a child ! This is the most perfect essay I have read on losing a child. Thank-you for such beautiful, honest words. We lost our son Calvin eight days ago, and before his actually passing we were in the hospital for a month. Our forever life changed on Febuaruy 18. My biggest and worst fear had came true and forever reason while at daycare my son stop breathing during nap time sending him into cardiac arrest. My son was not sick and had never been sick. He was the healthiest and most beautiful boy. The month in the hospital watching him wither away was hard and I tried to mentally prepare for the loss, but nothing could prepare for this pain and loneliness I feel. The poem explained all my feelings now and fears for how I will forever feel, but what I will try to keep in mind is hope. I hope to find some comfort on this sight to something that is the wort feeling I ever felt and will change me forever. Thank you so very much for this post. I am so grateful to have discovered this community. What you have written is very true of my experience. May all of us find peace. Yesterday was Bryan’s birthday.He would have been 38. So very hard getting through the day. Driving home and stopping at the store…memories started rolling down my cheeks. How do I keep it together on May 12th the right day he died? I have friends who have lost a child, my responses have always been love- I have nothing I can offer to help, as much as I want to I have no words that can heal or fix what has happened. I’ve been called “heartless” by others who have heard me speak the name of the “lost child” and have wondered if they were right but having read this and the many responses from grieving parents I don’t think those people were right. I remember the names of the children who have left and I share the memories with my friends – not always but some days it just seems right. Thanks for the article, we lost our son in February, 10th , 2016 at the age of 13. My heart is crushed, and six months later it’s still as fresh as the day he died. Here’s the thing, I’m a pastor and I’m a person that should have, “all the answers”, but I don’t. I’ve done the counseling thing, but I find myself answering the questions before the counselor can get the words out of their mouth, I carry on for my wife and my precious little girl, but my grief continues. I tell people all the time, “You never get over it you just learn to walk the rest of your journey with a limp.” I honestly don’t ever think I’ll ever truly know what happiness feels like again. Thank you for sharing this, it has helped…. This is beautifully written. I lost one of my grandchild’s 2 yes ago, I feel as if I lost one of my own children. One day at a time us all we can do. You speak the words my heart groans, but can’t formulate. Thank you for turning your tragedy into a voice for the rest of us. My first born daughter, Janet left this earth five years ago. The horrific Pain, is indescribable and yet I feel a sense of awe knowing I will hold her in heaven for eternity. I still am in deep sorrow because I no longer can have my sweet girl in my life. God watched his son, Jesus die and thus understands my pain and every parents pain whose arms ache to hold their child just one more time. This life has changed for me and yet I do find a sense of peace because of my faith and a sense of joy in sweet memories and in my family and friends. My heart has learned to smile once more. Thank you God for holding me through the unbearable loss and assuring me of Your love. I can truly say my faith never falters. I humbly encourage every parent who finds empty arms to let their hearts rejoice and find healing as we try to imagine the joy our child must be experiencing. It is well with my soul. Left a message but do not c it. Did I do something wrong? You are right, I will never get over losing my 25 year old son. Almost 8 months ago my heart broke, I carry on for my husband, 4 other children and 6 grandchildren. I know I will never feel completely happy again. Some of us don’t get to “Eventually”…..Ever. May I share this on my own Facebook page? My 15 yr old daughter, Carly, was murdered by an online predator. This is the most accurate and real description of my grief I have ever read. Thankyou so much for sharing this. My son Travis died three weeks ago. There are no words. I am physically ill with grief. The autopsy report ,won’t be back for 6-8 weeks. I just ask over and over why? I have been shaken to the core. He was good, kind and loving a man to be an example of love for every life he touched. My brain is just numb. he was only 28. He was 6’4 inches and only 138 pounds..
My son, Ronnie Aragon, Jr, died very suddenly on June 26, 2015. I miss him every day. Beautiful site for those of us who have lost a child!1! Beautiful site for those of us who have lost a child. It’s been 3 months since my little ray of sunshine, Alexander, lost his life in an accident. I tried to save him, but he died in my arms. He was 13. It’s all been such a blur of pain and sadness, heartbreak and emptiness and wishing I could just walk through a door and feel normal again. For him to come home from school with his brother with happy faces. It’s been a real comfort to read your words, and the replies from other grieving parents. We are not alone 💞Sending love, light and strength to all those who have to bear the loss of a child. God bless us and our cherished babies. My son (Chad 6/9/1983-6/8/2014) placed a 9mm pistol under his chin 6/8/2014. One day before what would have been his 31st birthday. Your post precisely states my continuing emotional ebb and flow. I am overwhelmed with guilt. I feel as though I failed him as a parent. The sleepless nights continue, even on medication. The crying alone, especially driving down the road. In 3 days it’s been 2 1/2 years. I would like to tell the newest members of this tragic club that it gets better, but it simply does not. I carry on because I must. I identify with the knot in your stomach, the empty broken heart & soul…..reliving that entire day over & over in my mind. Seeing where my son laid overnight in a field, the outline of his head in his own blood…..it took my breath away initially & it still does. You cannot “unsee” such things. I feel terrible for my ex-husband because he actually found our son. I pray to God for his merciful grace to carry me through my roughest moments when they hit. I do experience happy moments due to my other 2 children, my husband, my grandchildren & my dogs.They are my reason to keep going. Grief over the loss of your child is just never ending. I can’t bring myself to bury his urn. I stare at it & can’t stand to think of that too. The fact that I agreed to have my child cremated…..ashes…what was I thinking? I make myself think of him whole again in God’s Heavenly Kingdom. Free from the worldly demons that drove him to feel as though he had nowhere to turn. He left 3 hours of texts to ex-girlfriend. The last one stating that “it is so hard to say goodbye to all I know & llove”…..heartbreaking! Your post is the most i can relate to.. just found this site last night. My son Richie died unexpectidly 3 weeks ago, he fell from our dining room table to the floor from a seizure, so it looks to me..Waiting still and calling the Medical Examiner office every couple of days…… i chose to creamate my son because i did not want him in the ground with bugs getting at him…. so i carry his ashes, and put them in his bed, his favorite spot at our dining room table…Richie is 28 years old, and my baby boy …. thank you for your honest post ..
My beautiful daughter died on October 30, 2016. She is the oldest of our seven children and such an amazing and special person. She was truly beautiful inside and out. We have learned so much about her since she died. I thought I knew everything in the world about my precious child but we have learned so much about her love and compassion for others since she died. Hundreds and hundreds of people have contacted us and posted about her and about the beautiful things she did for them over the years. She reached out to so many people when they were going through difficult times and needed a friend, she loved everyone unconditionally, she always stood up for those who needed protection or were being discriminated against. I could not be more proud of my beautiful daughter. She was loved by so many people. I only wish she had known the difference she made in the lives of so many others before she died. She was a social work major in college in her junior year and the school of social work said she truly had the heart of a social worker. She always has since she was a tiny toddler. Such a special child, always. She died of an accidental overdose of anxiety medication in her bed at home. We had brought her home from school one month before she died when we realized something was wrong. She was depressed and overwhelmed this semester for a lot of reasons. Her daddy found her and I knew from his scream that she was dead. She had been dead for hours. I replay it in my head so many times. Everything we could have done differently to change this horrible nightmare. Finding my beautiful baby girl in her bed… cold… it just can’t be real. Everything is a fog right now. Some days I can’t get out of the bed. Every day is a flood of tears and the feeling that knives are stabbing into my heart. I can’t accept this. I can’t. I want her back. Heaven is not comforting to me. It wasn’t time for my girl to die. This wasn’t meant to be! God didn’t plan this or need another angel or any other thing that people keep telling me. This was a horrible accident that shouldn’t have happened. I’m obsessed with the thought that she is sad and that when she realized she was dead she was so upset. I think she wants to come back. All I want is for her to be happy. I know she wasn’t ready to go. She had her whole life to live. She had so many dreams and so many things she wanted to do. I don’t know how to pick myself up from the million pieces I’m in and live again. I just want her back. I want a chance to do it all over again and make the outcome different this time. We love her more than life itself and she always knew that but it wasn’t enough to save her. I failed her. I couldn’t stop what happened. I lost my son and my hero on Halloween 2016. He was a deputy in Taylor county. 2 hours from where I live. He lived next door to me for 20 years. Divorced and raising his son. We did everything together. All ny 4 kids were very close. He was a goofy ball and like to aggravate me. He was 46 years old when God took him home. While on duty in the dark early morning country road he rear ended a log hauler with logs sticking out over 12′. They went through his windshield. He died on the side of the road. I’m still at the why stage and why couldn’t I save him and how do I live with never seeing him again. Tears won’t stop and why is life just going on? I will honor him by getting the laws changed for log haulers. He was the best son ever. His goal was always to make you laugh. His funeral was attended by the Governor and 87 different police cars escorted his remains. He was loved but no one loved him like his mom. I miss him so much. I did love the book but pain is unbearable. I love you Scott. My youngest son, Gabriel died unexpectedly on December 4th, 2016. His father, brothers and I are utterly broken. At this point in my journey, my only hope is that he is at peace and surrounded by the love of God and that I will be with him again someday. I have shared a letter I wrote to Gabriel a few weeks after he died. I find that communicating with him keeps him close. God Bless all of you for sharing your experiences. I don’t wish this kind of pain on anyone. I am here for you! As I sit here in this empty shell called a house in my empty shell called a body, I remember every word you spoke on our final day together when this house was a home and this body was full of life and hope and joy. I remember thinking that we were finally nearing the other side of this “burning bridge” together; that long, arduous, dangerous bridge that brought so much fear, so many wounds, so many tears that should have squelched the flames. It seemed we made it. There we were lying in your bed talking about everything and nothing at all. Magnolia is your favorite movie. Deep violet is your favorite color. Our front door has since been painted deep violet and although I am not yet prepared to watch Magnolia, I understand that under the complex elements and metaphors, it is very simply about forgiveness. Thank you! Thank you for spending that day with me, Gabriel. Thank you for talking with me and for sharing yourself and your thoughts and your feelings and your fears. Thank you for taking a walk with me. Thank you for picking out our Christmas tree. Thank you for joining us for dinner. I can still see you sitting there eating your salad and roasted root vegetables. Do you know what I would give to have that day back? When you asked if I would drive you back to Dad’s, I wish I had said no the fourth time, not just the first three. I wanted more time with you, but you were expecting a package in the mail and you seemed excited about it. I didn’t want our beautiful day to end in disappointment or anger so – to “home”, the home you loved the most, we went. I was happy that your package arrived and I was especially happy that it was a Maltese cross and that you placed it on your right, little finger. And yes, I agree that it looked “dope”. I didn’t know, as I was straightening out your bed and fluffing up your pillows, that it would be the last time this crazy mother treated her grown son like a little boy. I did know how tired you were, Darling. Our countless hours of sleepless nights have added up over the years. You needed your sleep and I wanted that for you. When you showed me the old picture of me and Daddy that you kept in your closet and told me that you looked at it every day because it made you happy, I began to cry. I didn’t know while I was embracing you and burying my teary face in your neck that it would be the last time. Thank you, My Darling Son for allowing me to apologize for everything I ever did or said or didn’t do or say that caused you pain or hurt you in any way. Thank you, My Darling Son for hugging me tight and telling me, “You haven’t done anything wrong, Mom. You’re the best Mom”. No I’m not, Sweet Boy, but thank you any way. The “Best Mom(s)” talk less and listen more. This Mom should have known there was more to this day; that our conversations and the messages within should’ve struck a different cord. This Mom should’ve known that we hadn’t made it to the other side of the burning bridge; that, in fact, it was about to collapse. I am left to make sense of it all, to find my way back to living, to be the voice of my son from whom we can no longer hear; at least not with our human senses. As a symbol of high integrity, it is said that the eight points of the Maltese cross symbolize respect, holy devotion, compassion, bravery, honor, fearlessness, humanitarianism and loyalty. Venerable Order of Saint John teaches that the eight points of the cross represent the eight Beatitudes. I am wearing your Maltese cross on my right, little finger and will never take it off. I can only aspire to become as beautiful and genuine as you, Gabriel. Nothing changes that truth. No matter the difficult times, no matter the unwise choices, no matter your own shame or guilt, NO MATTER is too great that it could blind me from the truth of who you are and what you mean to me. I FORGIVE YOU and thank you for forgiving me. Thanks for your post. I list my Law Enforcement son. Your words are inspiational. But it’s way too soon to be able to get there right now. Only a little over a month has gone by. But I will keep your words close. Thank you. It’s been over three years without our son, brother… extra sunshine on a sunny day, Cameron. Early on I couldn’t read an essay like this, could not face or fathom the long road ahead. I didn’t want to know that now, three years in, I would face a stretch of feeling so “overwhelmingly disoriented”… again. I welcome your kind compassionate words to grieving parents but you have to remember that everyone’s life is different. Not everyone has others or can find a way through the anger and pain. Some people simply don’t want to. I lost my 50 year old son in a house fire 5th May 2017, we are still waiting for the inquest 9months on, he had a drink problem and I feel I should have been able to save him, but didnt know how. How do I carry on? This is amazing. And heartbreaking. And full of love and loss. And SO, SO needed. Thank you for this post. For the last 11 years I have been the facilitator for a program called Grief Share at our church in Wisconsin. I have to say of all the different kinds of losses, the one that is the most profound is the loss of a child. No matter what the age. Parents come from all backgrounds of life and their children have died from everything from cancer, suicide, drug overdoses to accidents. It does not matter how they pass, their grief rocks them to the core of their souls. I agree with you Angela there is no quick fix for this. If I might offer just a suggestion to those who are friends of the ones who lost a child, be present in their lives. That does not require a lot of words, but a smile and a hug and let them know that your here for them and that your praying. Sitting next to someone who is crying is a great comfort to them. The most important thing is to LISTEN to them. I know you may not be able to answer their questions with appropriate answers but again just being there for them. I have heard this many times before, the parents may not remember what you said at the funeral home, but i remember you being there. Be present………….